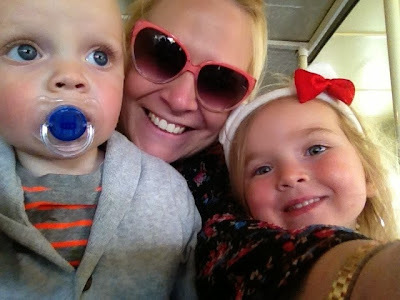 Taking Two Tots to see Thomas! 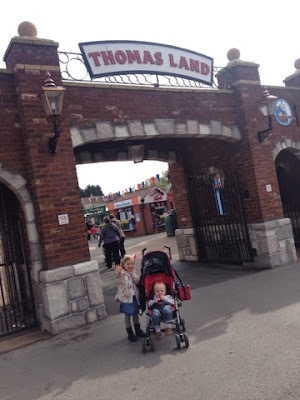 Some may say I am an insane lady but last week I took my two little sprogs to Thomas Land at Drayton Manor. By myself. Argh! 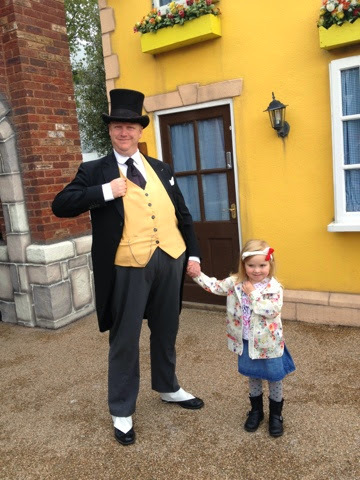 I have a toddler pass which is £25 for myself and the girl (the boy is free) and you can go on weekdays not during term time. We went a lot last year but this was the first time this year and also the first time alone. All by myself. With no one else to hold one child whilst the other weeps/falls over/runs away/has a breakdown in the gift shop. We had a fantastic day. It was quite liberating going alone. When we arrived my kids wanted food straight away (seriously you would have thought I literally had never feed them). And as we were by ourselves it didn't matter we were eating before going on one single ride. 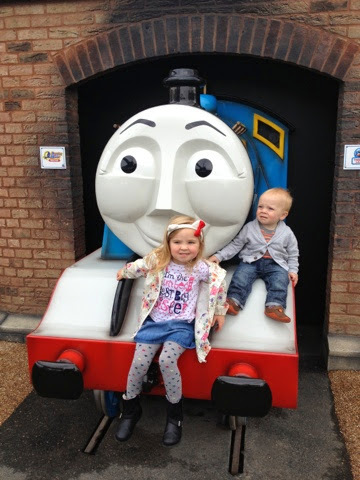 After our usual trick of eating lunch at 11am we did a few rides in Thomas Land together, hit the amazing soft play bit, did the zoo, followed by the playground, dinosaurs and then back to the rides! All alone! No one ran away. We only had one minor breakdown in the gamblers. And no one fell over! Basically I deserve a reward. And I can confirm ice cream was dished out for good behaviour. Mummy may have treated herself to a Magnum. So below are some pics of our day. 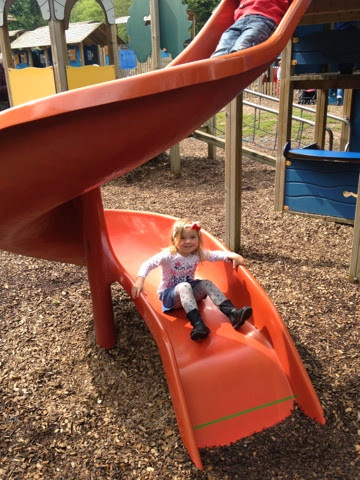 If you are a SAHM or Dad and live in the Midlands the pass really is worth it. It is generally quiet. 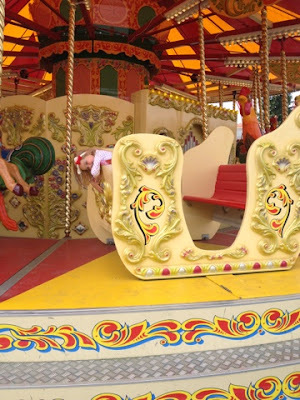 There's lots to do and the rides are very kid friendly. Obvs the main draw is Thomas and his mates. 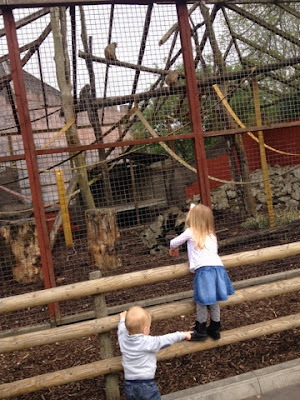 But my two really enjoyed the zoo and dinosaurs this time round. And eating. Of course. Hiya Percy! Over here! HERE! We are on a train. As you can see. The boy was thrilled. Chips! At 11am. Why not? Oh they have funny bums Mummy! Hello (to be said in a very Northern voice). 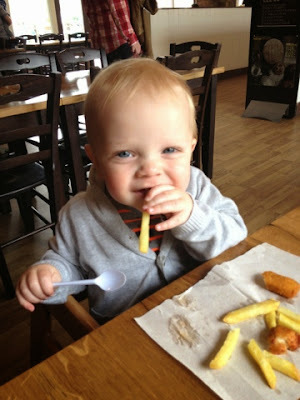 Oh, I love that photo of your son and his chips - he looks so pleased with himself! We love Thomasland and only live 10 minutes from it - we should go together! You were brave, though, as I've not attempted to take my pair on my own yet. Looks like it all worked out well, though. And yes, my kids would demand lunch on arrival, too! 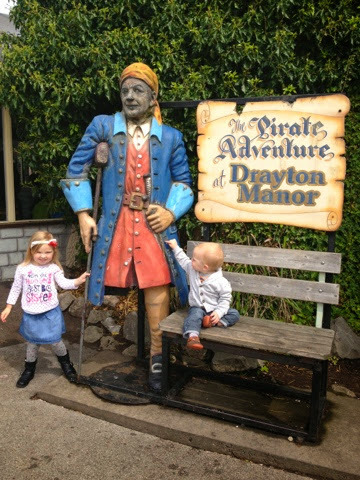 What a fab place for the children to visit, Thomas and his friends with animals and play areas too - no wonder you have an annual pass. Lovely photos of the children having a great time, thanks for linking up and sharing with Country Kids. Oh my goodness i so cant wait for our trip there on Sunday now!! it looks amazing! Well done for doing this by yourself! 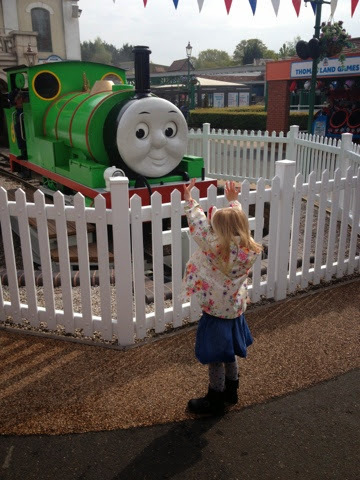 Thomas Land is just fab for kids - my five year old insists on a trip every summer, and just loves the place so much. What a fantastic day out that looks. Sounds perfect fun for children. Well done for going it alone. It is quite liberating the first time you take multiple children to places like that on your own.